Unclogging drains can present many challenges as there are a variety of drain systems. Our plumbers will help guide and consult you on any drain clogging problems that you are experiencing. Whether you are a home owner, or commercial business, Perry Aire’s plumbers are ready to help you get your drain cleaning services completed in the most cost efficient and effective way! Call Perry Aire Plumbing at 703-521-2228 for drain cleaning and repair services in Arlington Virginia, Washington DC and Maryland! Shower and tub drains. Hair and soap can build up and clog your drains very quickly. This can be solved quickly and easily by our plumbers using the state of the art drain cleaning technology. Kitchen drains. Grease and food debris build up will quickly clog your drain. Never pour grease down your drain, and always use food traps. Toilet drains are sometimes overwhelmed with toilet paper. Our plumbers have the right tools to completely unclog your toilet drain and give you efficient water flushing. Bathroom sink drains. Bathroom sinks have the propensity to getting clogged by tooth paste, hair, soap and other grime. Make all attempts to be conscious of what you let go down your bathroom sink. Downspout drains help channel water from your roof gutters away from your home. 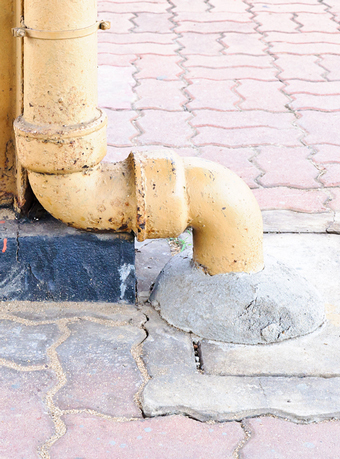 Many downspouts are connected to the city’s storm sewer system via underground pipes which can become clogged with leaves and debris which cause drainage back up. Floor drains are common in basements, laundry rooms and garages. They may also be found on patios and driveways as well as older bathrooms. These drains are equipped with a trap that should be kept filled with water to prevent odors and sewer gas from escaping. Why should you call Perry Aire Plumbing for drain cleaning services and repair? VIRGINIA: Aldie, Alexandria, Annandale, Arlington, Ashburn, Burke, Centreville, Chantilly, Crystal City, Clifton, Dale City, Dulles, Fairfax, Fairfax Station, Fair Oaks, Falls Church, Fort Belvoir, Fredericksburg, Great Falls, Herndon, Leesburg, Lincoln, Lorton, Manassas, McLean, Oakton, Prince William, Purcellville, Reston, Spotsylvania, Springfield, Stafford, Sterling, Tysons Corner, Vienna, Woodbridge.